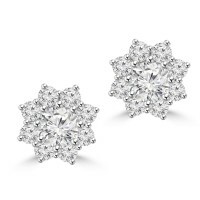 If you are looking to purchase the perfect diamond studs and give them as a special gift to that special someone on your list for this new 2015 year, consider a fabulous pair of diamond stud earrings. 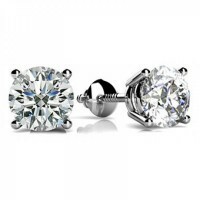 Diamonds have long been considered one of the best gifts to give someone and stud earrings are a classic piece of jewelry. Over the years, they have become a great gift for both males and females. 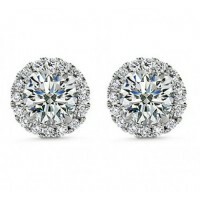 When it comes to diamond stud earrings, there are many great choices. 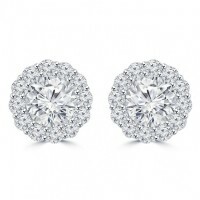 You can find earrings to suit every taste and style. 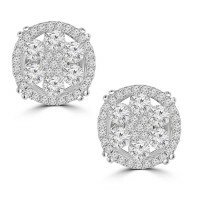 The sense of elegance is incomparable in this pair of classical diamond stud earrings. A staple item.. 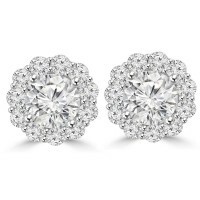 This perfectly matched pair of 2.10 carat round-cut Cubic Zirconia stud earrings are a timeless.. 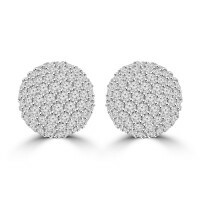 The sense of elegance is incomparable in this pair of classical diamond stud earrings. A s.. 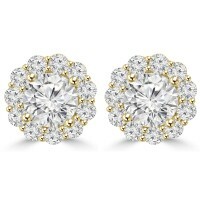 These dazzling Round Diamond Half Ball Earrings in 14K Gold weigh approximately 8 grams and showcase..